The name Tal al-Qamar means “Hill of the Moon": removed from the hustle and bustle of city life, the site is a perfect spot to view the full moon or stars. 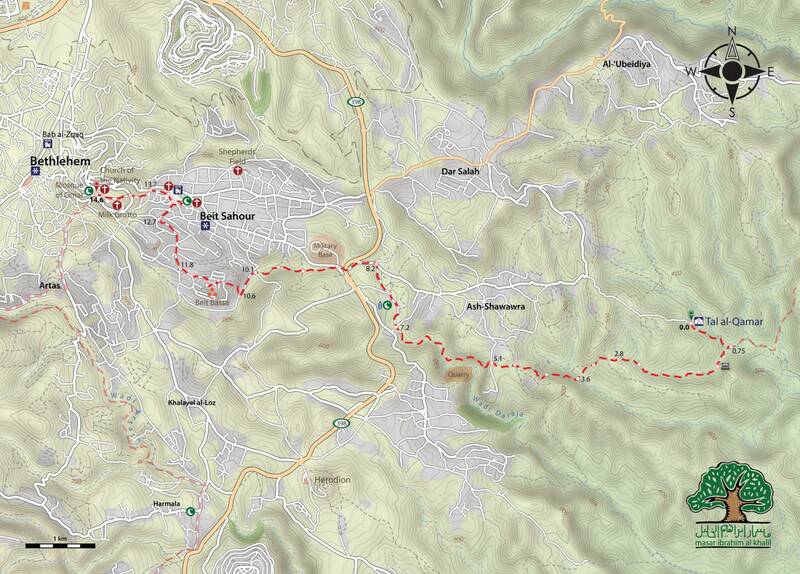 Starting at Tal al-Qamar the trek will lead across the serene landscapes of the Jerusalem wilderness towards Bethlehem. On the way, hikers will climb some rocky hills but will also have some time to sit, close their eyes, and feel the relaxing atmosphere of the surrounding space. After leaving the Bedouin desert, the Masar will take walkers through the Palestinian countryside, where you will discover rural meadows and villages. 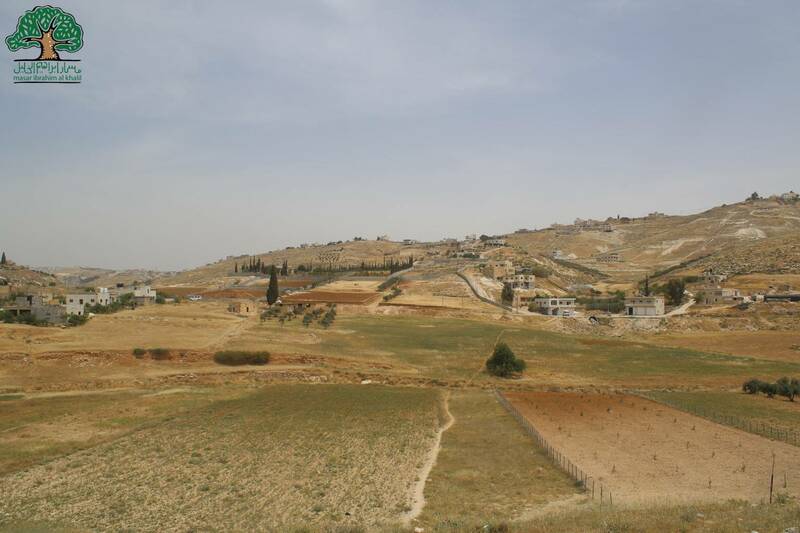 A more urban environment can be found in Beit Sahour and Bethlehem, home to historical and sacred sites such as the Church of the Nativity, the Milk Grotto and the Shepherds Fields.